This particular review is for our Pakistani readers. There must have been times, when you ask your friend “kia scene hai“, which translates to “what is the plan”, when you are lazing around nothing to do. This particular service tells you of happening in your city. 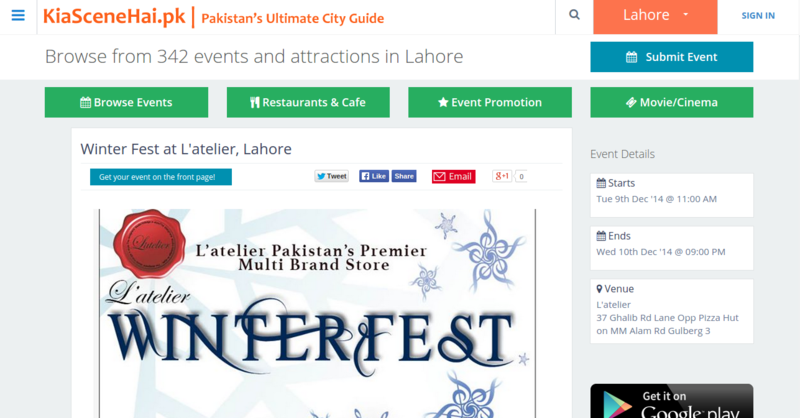 At moment the website is offering its services for Lahore, Karachi, Islamabad. The design of the website is simple, with filters at the top in the body, then featured events are right below them, and then further more filters are given where the user can filter the events by what is happening today, tomorrow, this week, and this month. Then below that are the categories along with the number of events being held in that category. Further more the best events in your selected city are also shown. 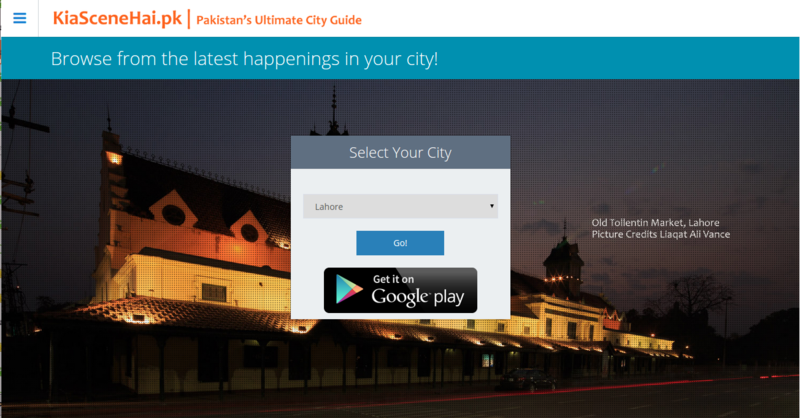 The design does its job to get your attention and inform you of the events that are happening in your city. The user experience is a bit too overwhelming for the first time user as every thing is shown right there on the home page. It does take a while to take into the experience. Once the user gets over this then the site is pretty self explanatory and easy to use. The learning curve is quite shallow. I for one like to attend meetups and events related to entrepreneurship and business where i can meet fellow entrepreneurs in my city. 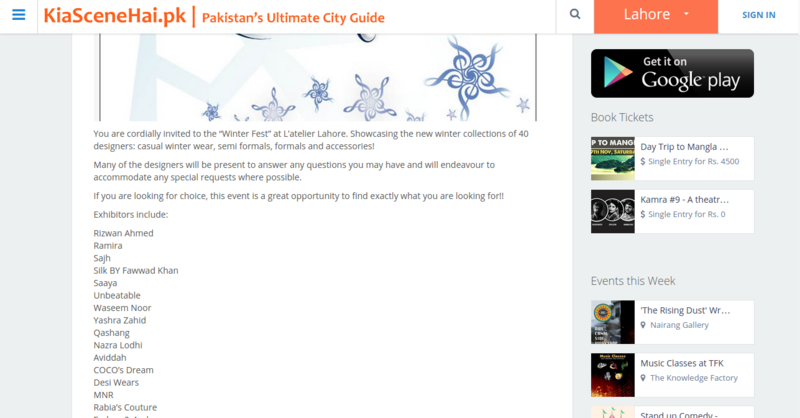 I was surprised to find that the website did have events which catered to my needs. Kia Scene Hai consists of a large number of event types from which you can choose from. 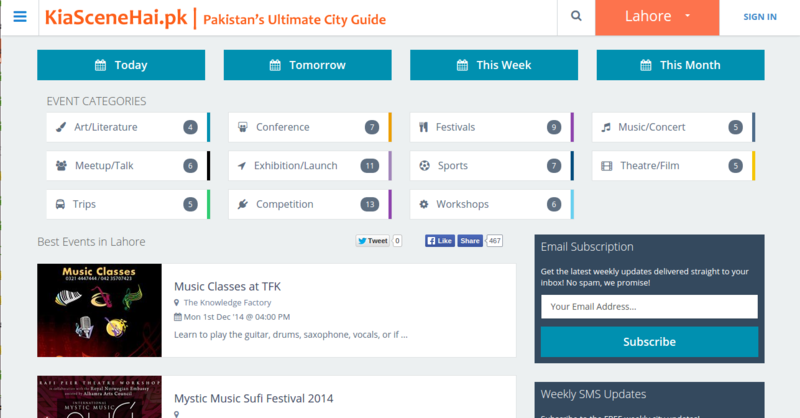 The website also offers weekly updates via email and SMS keeping you updated what is happening in your city. The usefulness of the website is quite obvious as it does its jobs quite well. 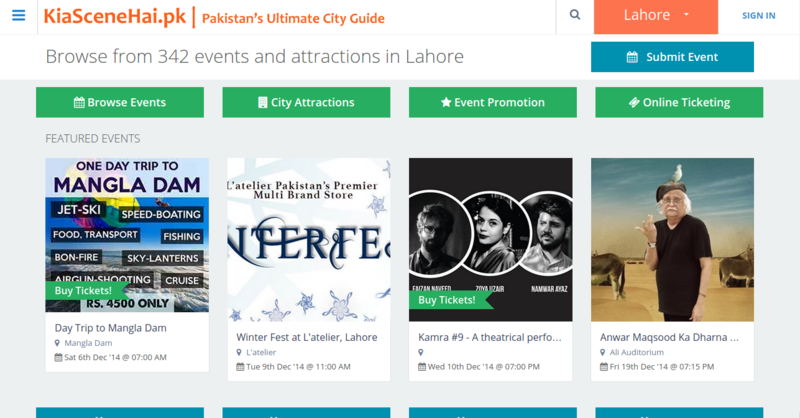 If you are organizing your event you can even sell your tickets through the website and also conduct promotion for your event through the website. I am also happy that the events that are in the system are quite new and interesting and not outdated or expired. This shows that the team at Kia Scene Hai is hard at work in maintaining the system and adding more events as they come. 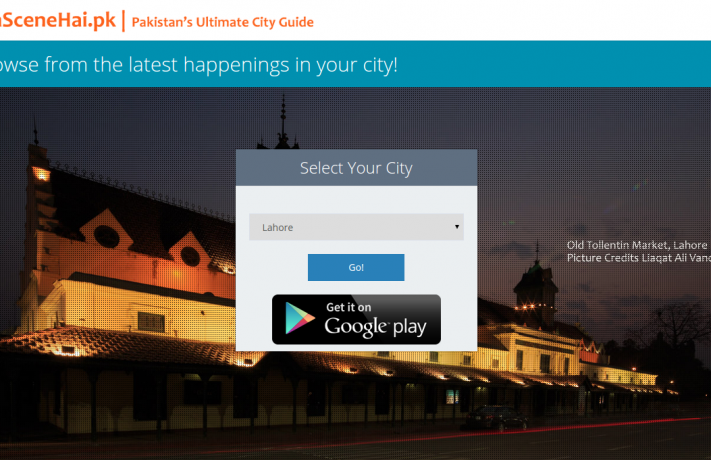 The website also offers an Android app which you can download from the Google Play Store. 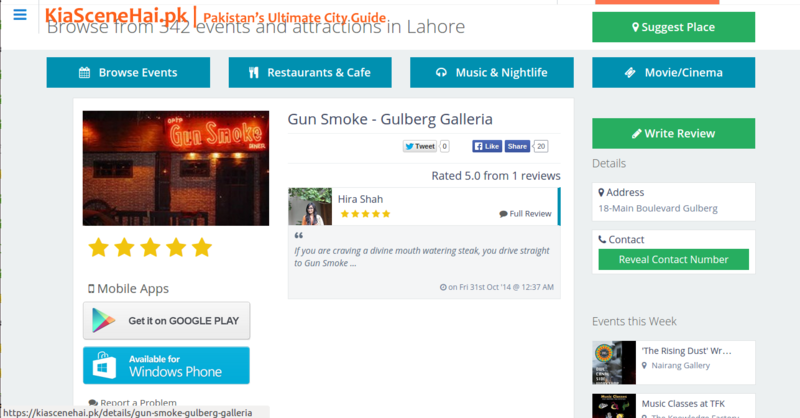 You can also find reviews of restaurants in your city and also search for restaurants based on the type of food they sell. I highly recommend Kia Scene Hai if you like going out and having fun. I will surely be using this service to find near by events so that i can have a great time. Update 4:29 am 9th December 2014: I have updated the link of the article and the content to improve SEO.